So you’ve sorted your briefcase for the working day, but how about when you need to get on an airplane for an emergency weekend meeting in a foreign land, or that unexpected road trip taking you hundreds (or thousands) of miles away? If you’re going on a weekend break, a full sized suitcase is not just overkill, but a nightmare to check-in at the airport and a forty five minute wait at the luggage carousel the other end – not to mention a costly expense on low-cost, budget airlines who are all-too-happy to charge an extra fee for anything other than carry-on! Do you really want to be rolling a heavy luggage trolley around on public transport, or waiting for the sole kindly cab driver in the city to help you stow your belongings in the back? 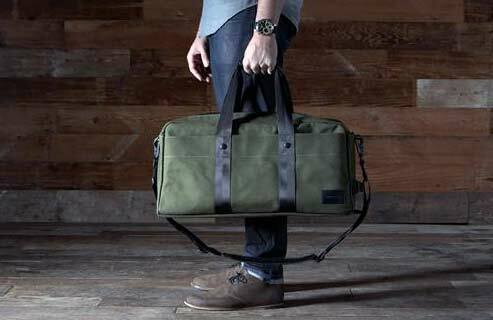 If you need to pack light, without worrying about the additional drama of other hold-alls, the duffel bag is the ideal compromise on all fronts. 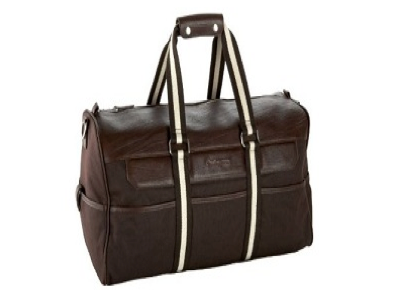 Roomy and conservative but with just a hint of character, the duffel bag is elegant without being so flashy as to catch the attention of unsavory characters. The waxed fabric waterproofing is gracefully refined, though won’t leave your clothing soaked in the unexpected event of a brief shower in the hotel car park. Its simple construction and design ensures the robust strength necessary to hold several day’s worth of clothing, plus all the dopp kits you could ever need, without broken straps or resorting to your long-forgotten backpack from your gap-year travelling abroad! An eye-pleasing black or brown leatherette version can easily be found for just over three-digits; just remember to avoid anything too outlandish and always reject the traditional sailor ‘drawstring’ sack even if you’re setting off for a nautical adventure aboard a sailboat. 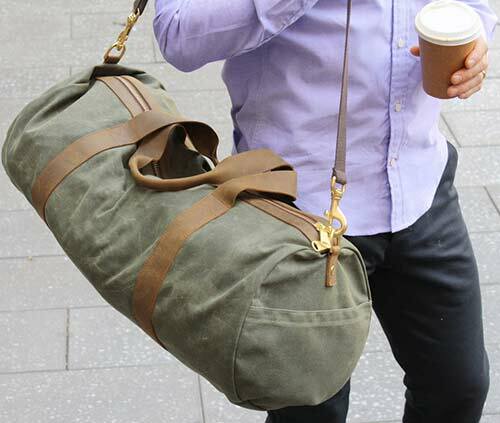 Rugged straps and clasps will help avoid unwanted clothing spills and ensure your duffel survives in the most inauspicious of conditions: be it stowed in an overhead locker 35,000 feet in the air or squashed below a bus seat. One design flourish I would recommend as being essential to your next duffel bag though, is a side pocket or two; not only are they useful for holding written travel directions, hair combs and other ‘quick grab’ necessities, but they’ll also prevent the need to rummage through underwear outside the airport lobby to find your sunglasses and miscellaneous travel paraphernalia.